I have my selenium driver navigating to the chrome downloads page using: driver.get('chrome://downloads'); , but when I get there, selenium is not able to find ANY elements on the download page. 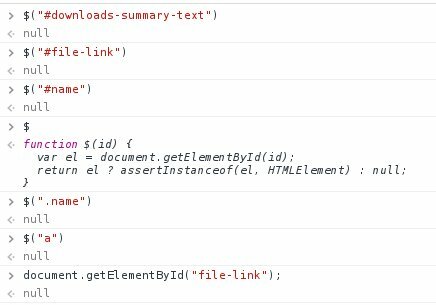 The chrome downloads page 'chrome://downloads' has a bunch of shadow-root elements that I don't know how to get underneath in order to access the id's that I want. How do I access identifiers beneath shadow-root items? 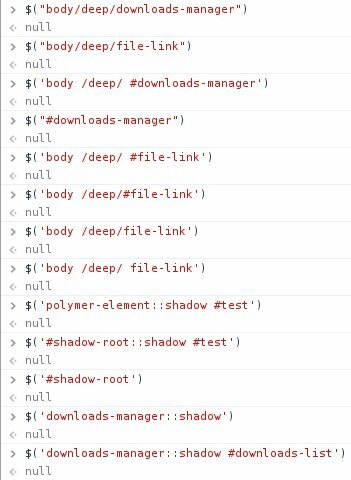 To select through the shadow DOM, you need to use the '/deep/' combinator. Why not check the downloads folder directly? I do this for downloading Excel files. I first clear the downloads folder, click the button to download the file, wait ~5 sec (varies by file size, internet speed, etc. ), and then looking in the folder for a "*.xlsx" file. This also has the benefit of working with any browser. /// Looks for a file with the given extension (Example: "*.xlsx") in the current user's "Download" folder. And then in my Test I can Assert.IsEmpty(LocateDownloadedFile); This way if the assert fails, the error message if printed. Expected: String.Empty. Actual: No files present. 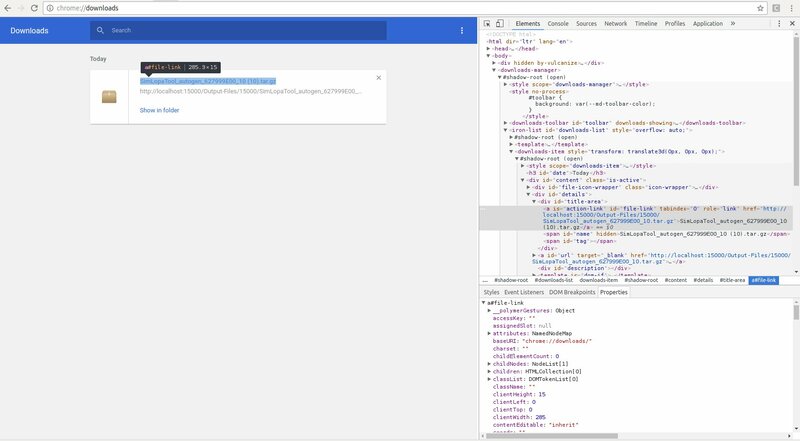 How to access and interact with Shadow DOM using Watir?